In choosing shelters there were a few options. 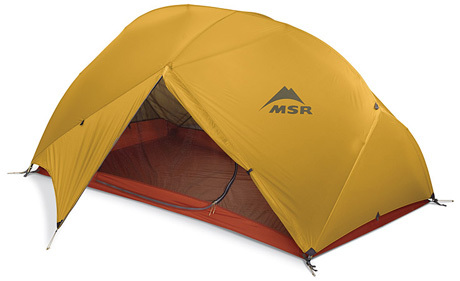 Originally we have an MSR Hubba Hubba freestanding double walled tent. It is awesome, but at about 5 lbs, even splitting it is a large weight cost. 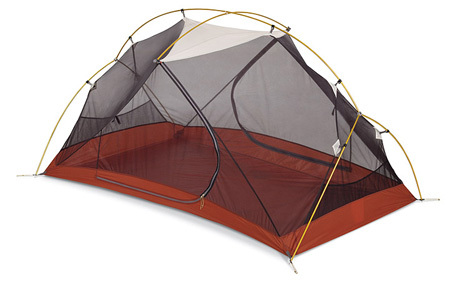 With 2 doors, 1 pole, and a bombproof 3 season tent... this is a great choice for many. It was very dependable when I needed it. But this was not to be the choice for our Applachian Trail hike. 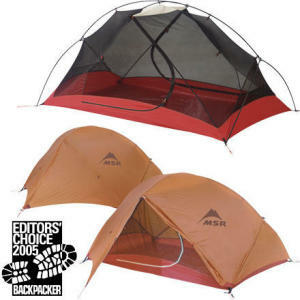 It is a freestanding tent made out of really durable materials. We used this tent for 2 years before this, and travelled Europe with it for 7 months. Yet when the seal tape started to peal on the back of the vestibule, we contacted MSR and they just replaced it. Now that is awesome service. However, that won't carry the weight 2100 miles to Maine. Next was the Henry Shires Tarptent Double Rainbow. At 38 oz., it is really light. With a Tyvek footprint and a liner added to help with condensation the weight went up a little more. Probably close to 45 oz. overall. 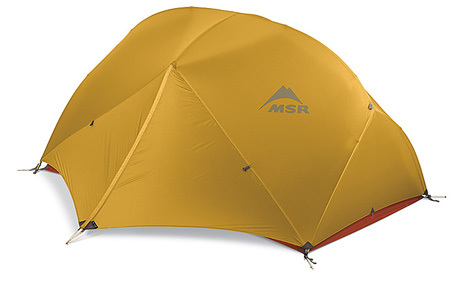 This tent is a single walled combination of a tarp and a tent. It is not freestanding but can be setup as freestanding. Check out more details here. The next choice was the Six Moon Designs Lunar Duo. 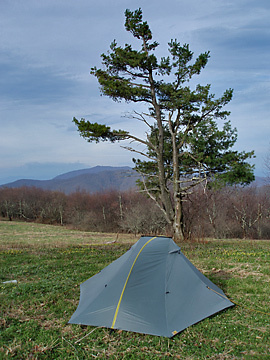 This is not a freestanding tent. This tent requires hiking poles. It requires stakes to keep it standing and is not nearly as wind worthy as the 2 previous contestants. But that does not make it a worthy adversary. It is roomy, enough that 4 adults could play cards inside. It is lightweight, weighing 39 oz. with tent body and poles. The hiking poles that are required to make it stand up are separate from that weight, but since my wife plans to hike with the poles, we should use them if they are there. This is a single walled setup as well. But we really really like it. Based on a recommendation from my genius friend Aaron, we ordered it. Check out the link to Six Moon Designs site here. Videos about the 2 candidates will be posted shortly after in the next 2 posts.